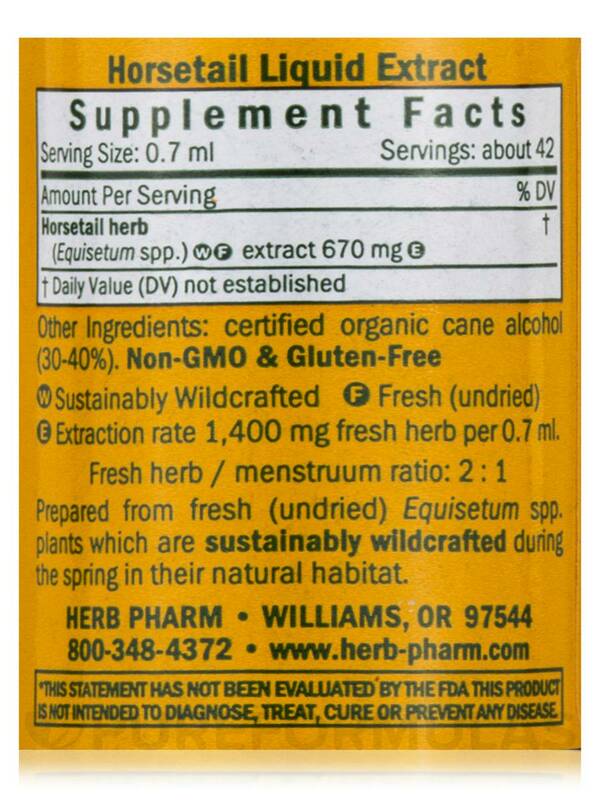 If you’re looking for a natural herbal supplement that may work to maintain urinary tract health‚ you might want to consider trying Herb Pharm’s Horsetail Extract. Specifically‚ horsetail—which is also known as equisetum arvense—may serve as a mild diuretic; therefore‚ it might work to remove excess fluid from the body by stimulating urine output. Since urine may be able to flush some forms of infectious bacteria out of your bladder‚ horsetail extract may also help address certain symptoms associated with mild urinary tract infections (UTIs); these symptoms can include pain or a burning sensation while urinating. Finally‚ horsetail extract might have antioxidant properties. 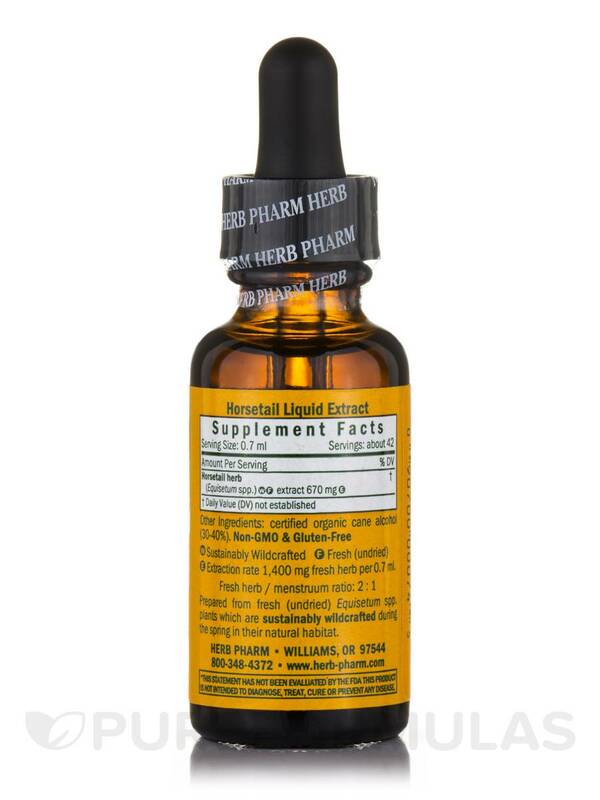 As a result‚ this supplement may work to protect cells throughout your body from free radical damage. Each bottle of Horsetail Extract by Herb Pharm contains one fluid ounce of solution‚ which is prepared with sustainably wildcrafted equisetum arvense plants that have been harvested by hand. 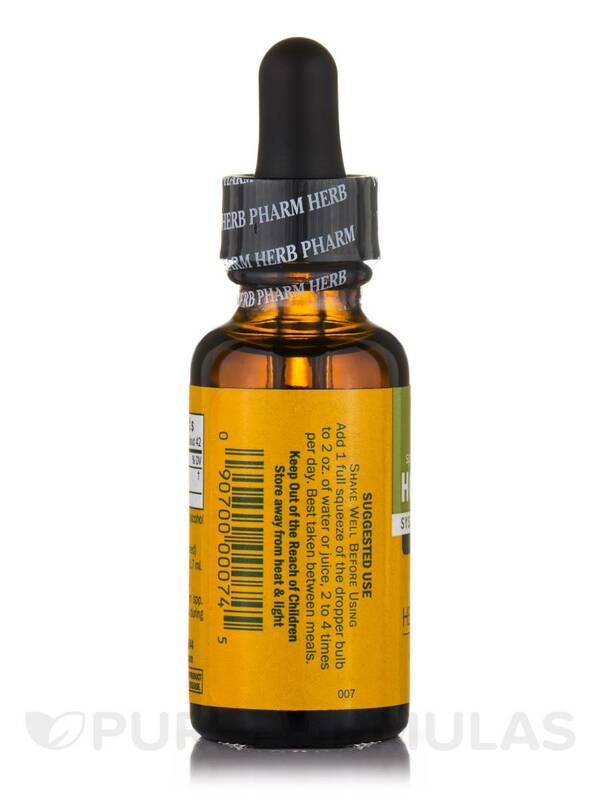 (E)Extraction rate 1‚400mg fresh herb per 0.7ml. Other Ingredients: Certified organic cane alcohol (30-40%). I've been taking Horsetail by Herb Pharm with aloe vera and English Hawthorne for my small hernia and I've seen improvement. 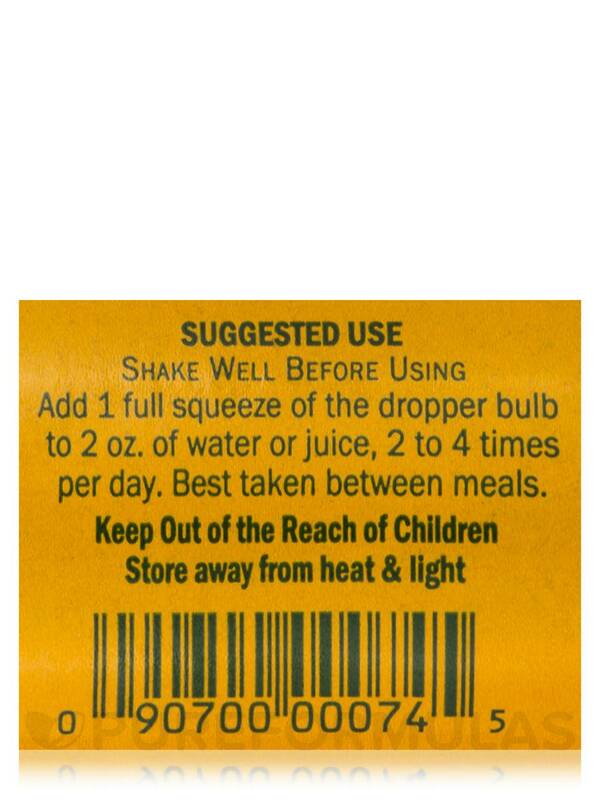 I am using this product to help heal my broken arm. I have only been using it about two weeks. I read in Dr. Sherry Rogers book how it can help the bones and I am giving it a try. I see my doctor next month. It is not unpleasent to take and will not hesitate to continue its use if necessary. Easy to take. Economical. No side effects.